The UK rockers recorded the tune for the Spotify Singles series – alongside the title track to 1987’s “Hysteria” – during a spring session at the streaming service’s studio in New York that was issued for release in July. “Personal Jesus” will be included on the November 30 release of a new greatest-hits collection entitled "The Story So Far - The Best Of Def Leppard." The package – which traces the band’s singles and fan favorites from the third album, 1983’s “Pyromania”, to today – will be available in multiple configurations, including a 2-CD set comprised of 35 tracks, a single CD edition featuring 17 tracks, 2-LP vinyl, and digital. As a bonus for collectors, the first pressing vinyl copies of "The Story So Far" feature an exclusive seven-inch single of "Personal Jesus" and "We All Need Christmas." November 30 will also see Def Leppard release a 10-disc limited-edition vinyl box set called "Hysteria: The Singles", featuring all of the seven-inch singles from the band’s 1987 multi-platinum album. 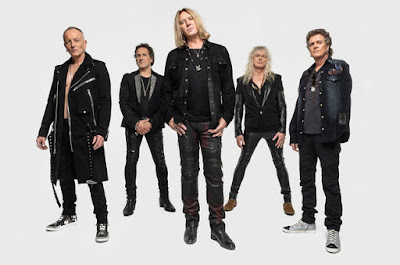 Def Leppard are among 15 nominees under consideration for entry into the 2019 Rock And Roll Hall Of Fame, with news of the confirmed inductees expected soon.